I believe it was like $175 . The name had Thunder in it. I’m tempted to call them and ask just so I know for future reference. Exactly. @Jon Fishman The bigger water volume the better. if it’s a 6-8 foot stand it will be all water under there. I’m limited to to what’s under the tank for sump. People who can plumb to the basement or even better a fish room are so lucky. I have actually been considering building the stand a little oversized to get more space. I’m putting what will most likely be a 6 foot tank on an 8 foot wall so considering maybe a 7 or 8 foot stand. Side note: I wonder if many in this forum have done much fabrication of their own steel stands. I am going that route as well to give a little extra space under the tank. Stopped by Aquarium Adventure while in Columbus for NCAA tournament this weekend and saw this guy. Wish I could remember the name, but I was blown away. Might have to go on my wishlist for my upcoming build. Ok guys, I have a question for the gallery. First here is the back story. It has been almost two years to the day that I had to breakdown my 120. I have waited long enough. Since I have gotten the ball rolling by starting funding I guess it is time to make a few decisions. For starters, every tank I have owned has been a deal from someone getting out of the hobby, therefore they were never really my brainchild. Granted you can make some changes once setup but not all. I plan to piece this build together how I would like from the beginning. The first question is size. I have always imagined my dream size was 210 or 220 (6 foot)The largest I have had prior is 120 and I think the 4 foot foot print is ideal when your talking efficiency for what you get. Some of my reasons for considering the bigger size are 1. More room under the hood for refuge and other toys and 2. 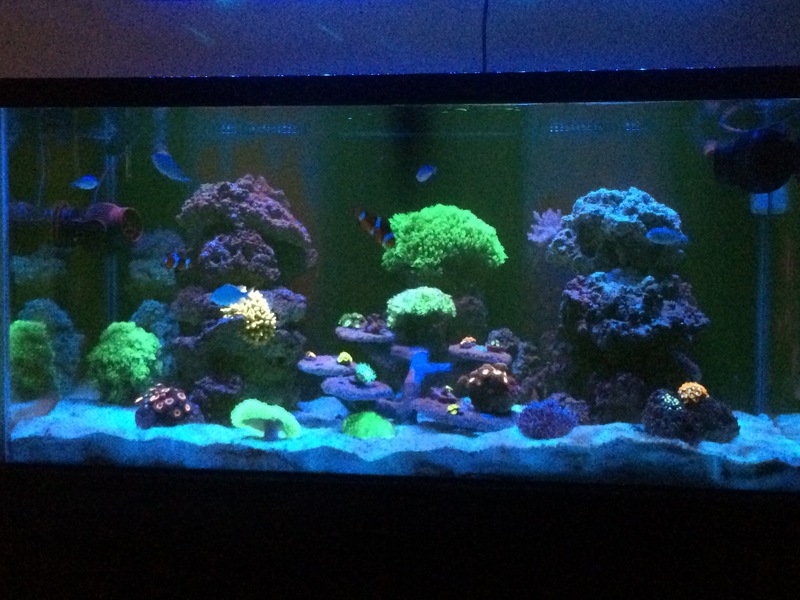 I have felt a little limited fish wise with 120. My primary reservation with the bigger tank is more water volume means more monthly maintenance costs. I guess I after all that I was just looking for opinions for or against from anyone who has or has had tanks in the size range. I apologize for the huge post I guess I’m just excited to get the hamster wheel rolling. Thanks in advance. Yes, I should be home Sunday until about 4.